Some brands do believe in helping us short girls out. Though many of the petite sizes are not carried in the store and can only be ordered online which may add to the jean buying troubles. Ones that I have tried successfully include Aeropostale, Gap and Old Navy. Some higher end brands include 7 for All Mankind, Joe’s Jeans, Citizens of Humanity and Paige Denim. For me my favorite jeans are Aeropostale – they fit well on large hips and butts plus they come in petite sizes. Also, Aeropostale carry many of their petite jeans in the store whereas Old Navy petites have to be ordered on line in most places and in my experience. Do you struggle with finding the right jeans? If you do find petite sizes that work then you can’t find your size. Many jean companies and brands do not even make jeans in ‘short’ so what can be done? With the increasing popularity of designer jeans are short girls just left out? Many of those high end and most popular names do not manufacturer short-legged items. I have dealt with this for many years and would either not buy jeans or would have long sloppy pant legs. Or not to mention the old tuck and go method that completely ruined your hem and turned everyone on to the fact that your pants were too long. Oh and the other issue, some of the petite jeans are made for people without curves which can add tot the frustration. Well what if I don’t want to wear my jeans sloppy, tucked, cut or something worse? Don’t forget jeans are not the only culprits – most slacks or other type of long pants do not come in ‘short’ either. So what can be done? I thought that left me to be ever indebted to a tailor who specialized in fixing the industries flaws to fit the person. Knowing a bit about sewing, but not previously able to figure out her technique I was hopeless. Feeling that I could have done this myself and saved a bit of cash was not helping matters. Until one day I looked at how the tailor fixed my jeans. I am going to introduce some short and easy steps to free you from the tailor and the dreaded long pants syndrome. 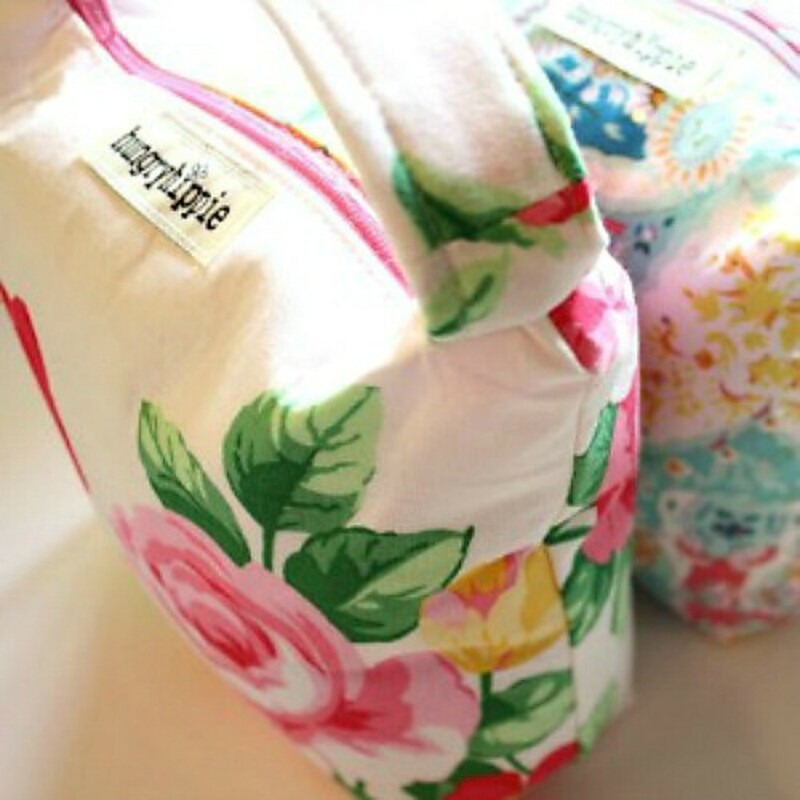 For this you can either do with a sewing machine; which makes it fast and easy or it can be done by hand if you prefer the old fashion method although some hand sewing is required. In this example I will explain how it is done although I will not be showing how to sew hence some sewing and basic alteration knowledge is needed. There are pictures to demonstrate and a video if the instructions appear difficult. You will need the knowledge of basic sewing techniques and how to operate a sewing machine. It would be helpful if you know how to thread and change the bobbin so that it matches the color of your material. It is very easy and when you get the hang of it you can complete this in about 15 minutes per item. 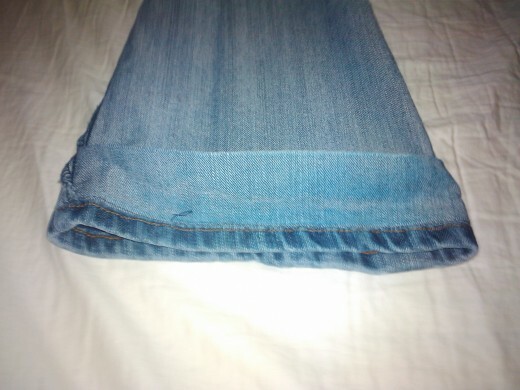 Some jeans are unable to be tailored using this method, especially jeans that either flare a lot at the bottom or become very skinny at the bottom. 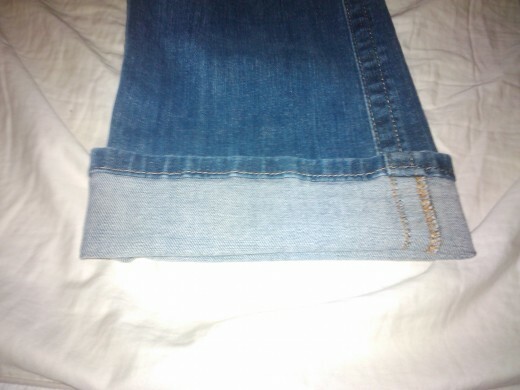 Also if the jean needs a lot of fabric taken off and there is a taper to the leg it may make this technique difficult. For this technique to work best the pant leg should be equal diameter at the original hem and where you would like to place the new hem to avoid gaps or puckering. Mark and pin the cuff before removing the pants. This is where those other hands can be helpful so the pinning is done evenly. Be careful!! Sew down flap tightly with a slipstitch on the inside of pant leg – this holds the original seam down and out of your way. This is a sure fire method that will keep you away from alteration shops and in hem heaven. 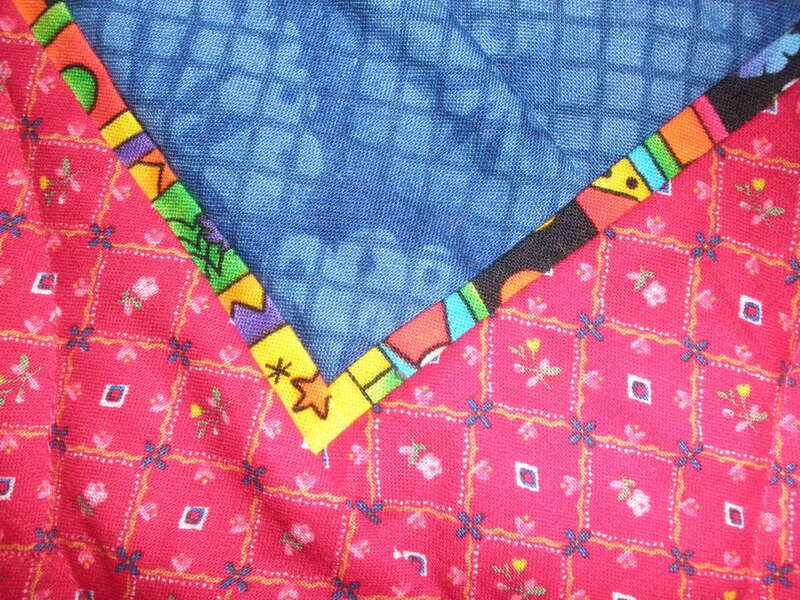 Over time the seam will become more pliable and will resist bending or turning in an awkward way. Until then you may want to iron the pant legs before wearing. Make sure when using the slip stitch that the stitches do not show through to the front side which by using thread of a similar color to the material can help to reduce the visibility if the stitch does tend to bleed through. So no more worries about long jeans – even if they are on clearance you can save a little money and hem them when you get home. Over time you will be able to recognize jeans that will hem well and those that won’t – don’t waste your time if you cannot alter them. I hope this little tutorial was a big help to those that are trying to save money as times are really tough and maybe even make some side money for yourself if you know someone that needs their pants tailored. Good luck. I think you probably have a good technique but I'm at a total loss as to how to go about actually following your instructions. using the original hem sounds cool, and I have never heard of that done before. But I'm not sure at all how you actually do that. I think you need to grossly simplify your instructions. It would probably make your tutorial much easier to understand. I too often explain things using too many words, and I find it confuses people. Short and sweet is always best. I am glad that was helpful.